Pleasure Symbols are a two piece straight out of Brisbane. 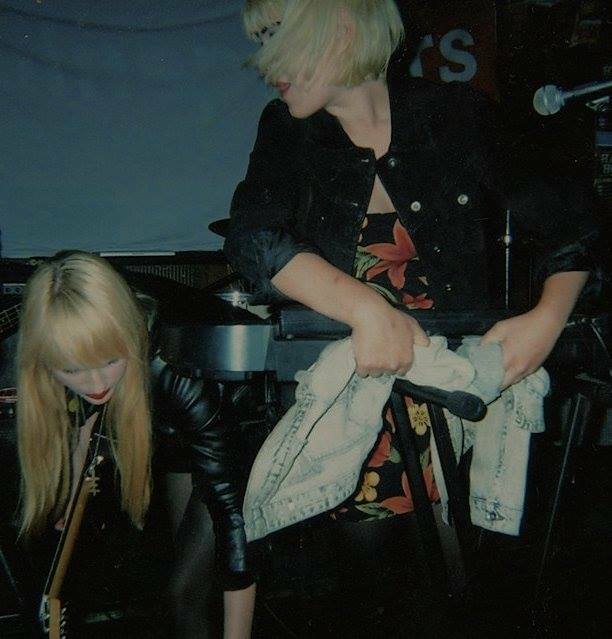 The band is Jasmine Dunn (Occults) and artist Phoebe Sheehy (Phoebe Paradise) who both dabble in a shadowy corner of the synth-heavy electro genre. Their Facebook information simply says ‘COLDWAVE’ so I’m going to run with that. ‘Ultraviolence’ is cold, it’s icy, it’s bleak – it conveys a desolate expanse and a claustrophobic hole simultaneously. Imagine a rigid drum beat is dipped in gelatinous synth and overlaid with some haunting, ritualistic vocals and you’ve got the gist. Bleak electro is popping up everywhere at the moment but Pleasure Symbols haven’t chosen to be fully abrasive with it. I haven’t heard their live set yet – ‘Ultraviolence’ is the first taste most of us will have had so far. I want to draw some immediate parallels to Rites Wild, although Pleasure Symbols aren’t as fully formed. Rites Wild dips into ethereality, Pleasure Symbols seem to be evoking dystopian futurism. Jasmine and Phoebe are wasting no time in detailing the sonic landscape they choose to dabble in – it’s futuristic and futile, devoid of colour and positive emotion. It’s a cool slice of gothic electro; I’d like to hear more as soon as it is ready.